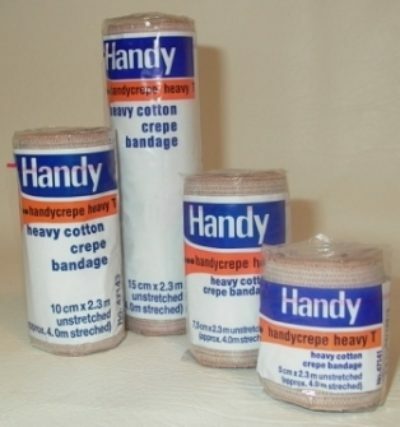 Heavy crepe compression bandages for hiking, the workplace, sports and more! Heavy crepe compression bandages for hiking, the workplace, sports and more! For individual or bulk sale. Contact us for different sizes and a quotation.